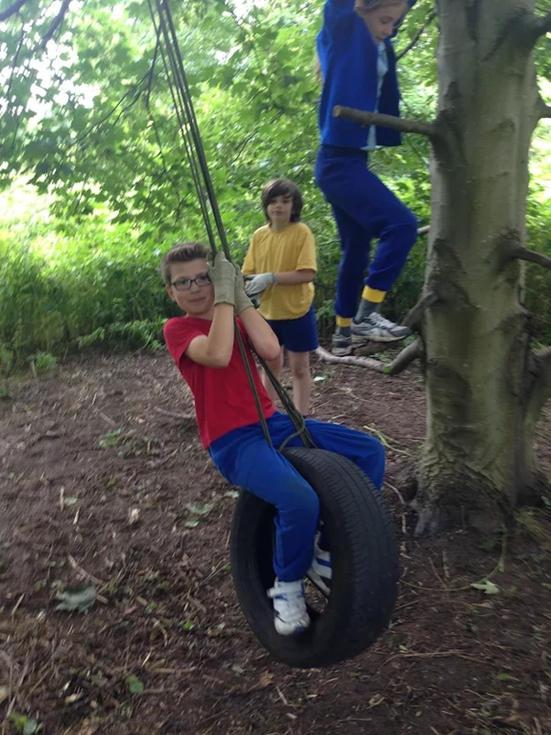 Forest School is an inspirational process, that offers ALL learners regular opportunities to achieve and develop confidence and self-esteem through hands-on learning experiences in a woodland or natural environment with trees. It is a specialised learning approach that sits within and compliments the wider context of outdoor and woodland education. We are very lucky at Warren Mead to have a woodland area next to our field which has been developed and adapted for use in outdoor learning and Forest School. Our Forest School Leader Julia Malone takes children for sessions once a week. FS is a long-term process of regular sessions, rather than a one-off or infrequent visits; the cycle of planning, observation, adaptation and review links each session. FS takes place in a woodland or natural environment to support the development of a relationship between the learner and the natural world. FS uses a range of learner-centred processes to create a community for being, development and learning. FS aims to promote the holistic development of all those involved, fostering resilient, confident, independent and creative learners. FS offers learners the opportunity to take supported risks appropriate to the environment and to themselves. FS is run by qualified Forest School practitioners who continuously maintain and develop their professional practice.